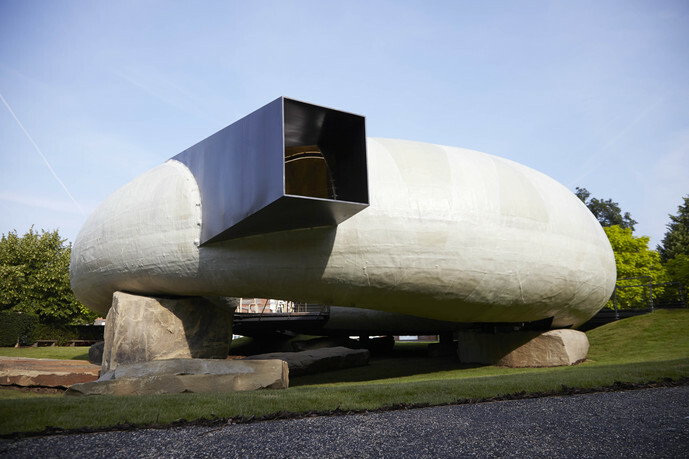 Smiljan Radić, Serpentine Gallery Pavilion, 2014, London. Photo: Iwan Baan. 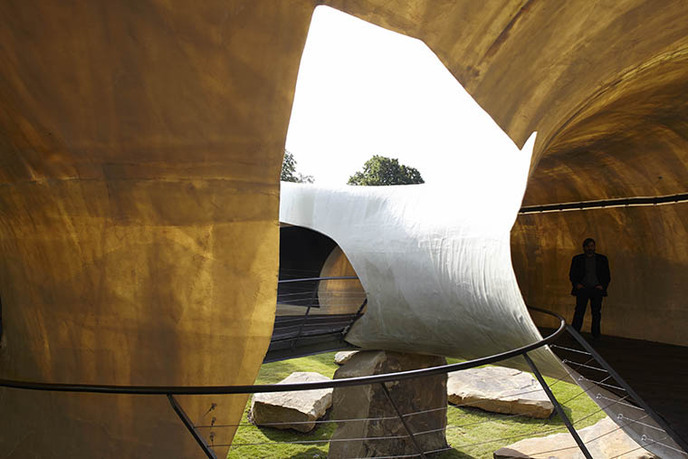 The Pavilion 2014, designed by Chilean architect Smiljan Radić, offers audiences the unique opportunity to engage with architecture first-hand and experience the work of a leading international architect. 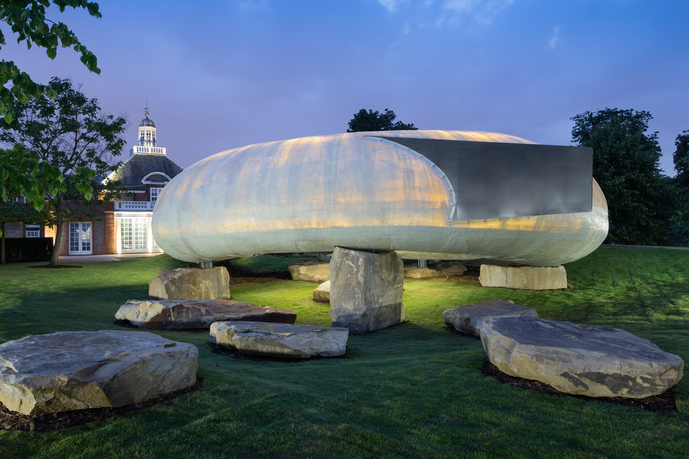 Radić, in considering the Serpentine's location in the Royal Parks and its dedication to engaging young people in the arts, was inspired by Oscar Wilde's story The Selfish Giant (in which the title character becomes content through sharing his beautiful garden with others) when designing this Pavilion. Born in Santiago, Chile, Smiljan Radić earned his architectural degree from the School of Architecture at the Pontificie Universidad Católica de Chile; he went on to study aesthetics at the Istitutto Universitario di Archittetura de Venice, Italy. He has won many international competitions and commissions for architecture, including the plaza in Heraklion, on the Greek island of Crete, with collaborators Nicolas Skutelis and Flavio Zanon in 1994, and the civic district in Concepción, Chile, a project that earned him the award for "Best Chilean Architect under Age 35" from the Colegio de Arquitectos de Chile in 2001. He exhibited his work at the Venice Architectural Biennale in 2010, as well as in Mexico, Argentina, Spain, the United States, Norway, and Austria. Julia Peyton-Jones is the director of the Serpentine Galleries and codirector of exhibitions and programs. 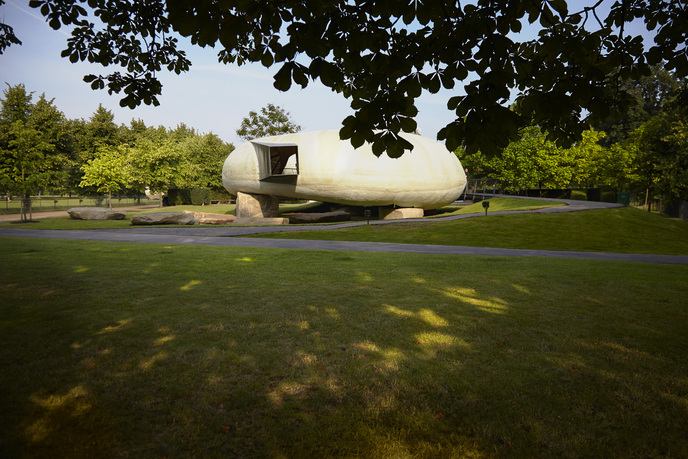 Peyton-Jones conceived the Serpentine Galleries Pavilion Program in 2000 as a pioneering way to present exhibitions of contemporary architecture to the public in the form of built space, rather than through plans and models. Hans Ulrich Obrist is the codirector of exhibitions and programs and director of international projects at the Serpentine Galleries. Prior to this, he was the curator of the Musée d'Art Moderne de la Ville, Paris. Since his first show "World Soup" (The Kitchen Show) in 1991 he has curated more than 250 shows. Obrist's recent publications include A Brief History of Curating, Everything You Always Wanted to Know About Curating But Were Afraid to Ask, Do It: The Compendium, Think Like Clouds, Ai Weiwei Speaks, Ways of Curating, and new volumes of his Conversation Series. Jochen Volz is head of programs at the Serpentine Galleries. He programs exhibitions, such as Jake and Dinos Chapman: Come and See, Adrian Villar Rojas: Today We Reboot the Planet, and Haim Steinbach: Once Again the World is Flat, as well as overseeing the Serpentine's public and educational programs. Volz was formerly artistic director at the Instituto Inhotim, Minas Gerais, Brazil (he continues to serve on their board of curators), where he cocurated a series of large-scale, site-specific projects on art and architecture with artists, including Dominique Gonzalez-Foerster, Doris Salcedo, Matthew Barney, and Rirkrit Tiravanija, as well as numerous exhibitions from the collection. Sophie O'Brien is senior exhibitions curator at the Serpentine Galleries. Previously, she worked as a curator for contemporary and British art at the Tate Britain; cocurator and exhibitions manager for the Australian Pavilion at Venice Biennale; head of exhibitions at the Sydney Biennale; curator at Artspace Sydney; and as curator for an annual Australian festival of international contemporary art from 1999 to 2001. The Serpentine Gallery was founded on February 4, 1970, as part of the Hayward Gallery, with the aims of educating a broad public through presenting and commissioning work from emerging and celebrated art and architecture practitioners, and contextualizing new art forms through commission programs, research, curating, and publishing. In 1988, the Serpentine started operating as an independent charity retaining these aims. 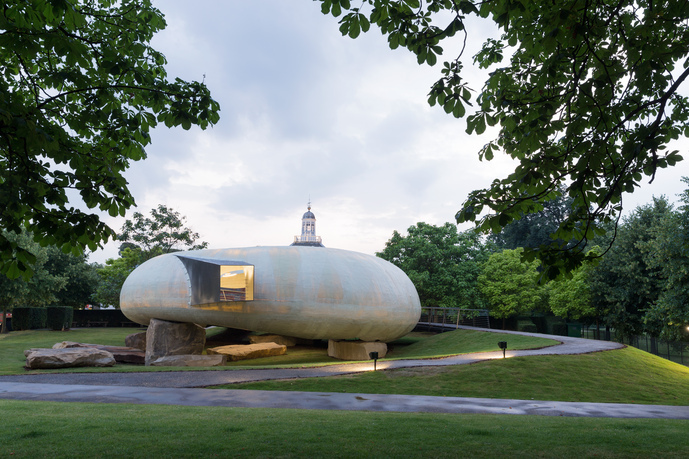 In 2013, the Serpentine Sackler Gallery opened as a sister gallery to the Serpentine Gallery.